Chinese chefs are well-known for their exquisite and varied cuisine. The knife that is most used by Chines chefs is, of course, the Chinese cleaver, because of its versatility. For those who are not all that familiar with the meat cleaver knife choosing the Best Chinese cleaver may come as quite a difficult task. The best Chines cleaver will have the primary function of delivering the finest and most precise cuts using an extremely sharp blade. If you are looking for the most versatile tool that you will ever own in the kitchen then you are at the right place. The Cleaver is not only a recognized tool in every chef’s kitchen but also becoming more familiar with everyday household kitchens. How does a Chinese kitchen Knife work? The Messermeister Four Seasons heavy is well known for being one of the top Meat Cleaver because of its exceptional ability to cut through bone like a hot knife through butter. A heavy duty cleaver knife that is small in size but delivers a dynamite force when you are cutting through meat and bone. 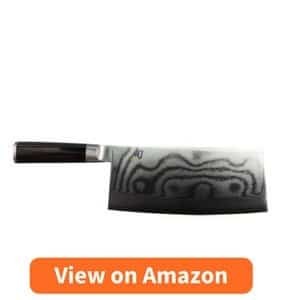 The Wusthof 4686-7/18 Classic 7-inch New Forged Chinese Cleaver is exactly just that an all in one Chinese Chef’s knife as well as Chinese Vegetable Cleaver and Cleaver Knife. An extremely versatile Knife that holds its edge for a very long time and is perfect for use by both left and right-handers. The Sekiryu Chinese Kitchen Chopping Knife is by far the best Chinese butcher’s knife with its 7-inch stainless steel blade and Japanese oak handle. A great cleaver knife with some excellent reviews and ratings. A Cleaver is a unique and versatile kitchen tool that can great for using for almost any function. The Cleaver knife is used for chopping, slicing thin pieces of vegetables and meat, peeling and even for deboning meat. 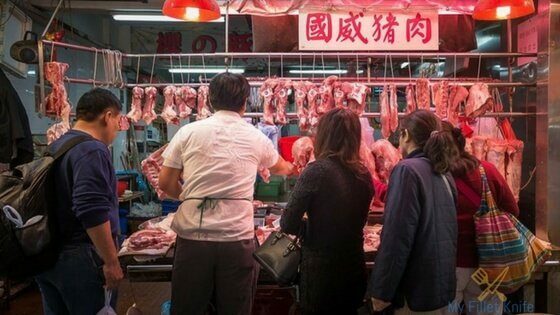 The flat surface of the Chinese butcher knife can be used to crush garlic and spices and the spine of the blade can be used to pound and soften the meat. Of course, a deboning knife is still the best option for deboning just as a peeler is better for peeling but the cleaver knife can be just as effective even for these needs. Chines knives are known to be the best quality for better durability and more precise cutting in the culinary world. 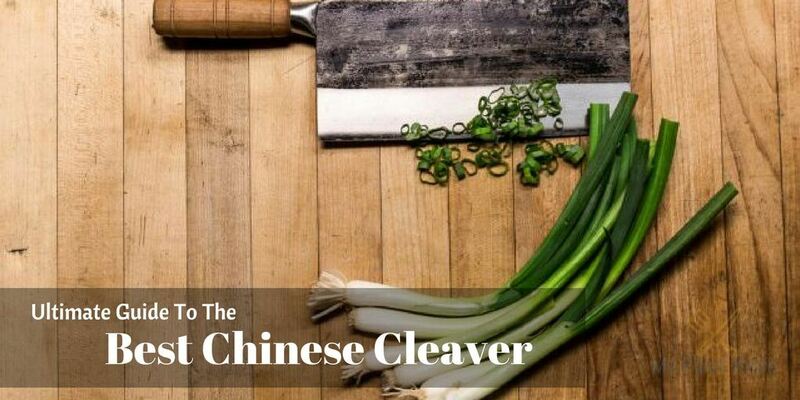 The Chines cleaver is the most versatile tool you can have in your kitchen and choosing the best Chines Cleaver is a decision that you will benefit from for a lifetime. A classical style vegetable cleaver with a 7 inch VG-10 steel blade that is the best in quality and a comfortable D-Shaped Pakkawood handle. A versatile and comfortable knife to use. Made from VG-10 steel with a 7-inch blade for perfect and precise results. A comfortable D-Shaped Packwood handle that offers excellent grip. Handcrafted to perfection with a lifetime warranty. The blade is extremely sharp and holds its edge very well. There have been reports that the blade rusted when washed. Sharp, durable and versatile, the Top Chef Master Cutlery is all that you will need in a perfect Chinese knife. An ice-tempered stainless steel blade for superior sharpness and durability. The cutting-edge hollow ground design reduces sticking. A full steel handle with polished bolsters and a non-slip surface layer for easy grip. Good weight to cut through bone and for heavy duty tasks. The handle of the knife is a bit narrow. A compact and sturdy Cleaver from one of the world’s most well-known brands in cutlery. A thick and durable handle that is easy to use. Can cut through most meats and bones as well as perform more precise cuts and slicing. Holds its edge quite long and sharpens easily. Acceptable weight for easy use. Blade not sharp out of the box. The blade is not hard enough to cut through thick beef bones. 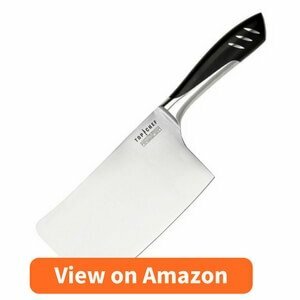 A large and tough Cleaver measuring over 8 inches with a stainless steel blade and handle and notches in the handle for comfortable non-slip grip. Ensures precise and fine cuts. Very sharp and great edge retention. Can cut through almost anything, meat, vegetables even bone. Can be used to open nuts and crush garlic and spices. The factory edge geometry on the knife is not up to standard. The Yaxel Ran is a seven inch Cleaver that is made for the finest chopping and cutting. The VG-10 stainless steel blade layered with high carbon steel creates a rust-resistant Damascus look. The handle is very durable and offers excellent grip. A rust resistant and corrosion resistant blade. Very sharp and good edge retention. Great for fine cutting and chopping. The edge of the knife tends to chip. When looking for the top chef knife you will want something that is very durable and that comes made from the finest materials constructed to last and perform at its best. Make sure that the cleaver has a full tang and is sturdy. Partial tang knives tend to break at the point where the blade meets the handle and this is no exception for a Chinese meat cleaver. You will have the choice between stainless steel and high carbon steel in some cases a mix of both. Carbon steel is not corrosion resistant and can add an unpleasant taste to food whereas Stainless steel is corrosion resistant but more susceptible to chipping. For the most versatile and functional Cleaver, the blade should be no shorter than 7 inches long. The longer and bigger the blade the more heavy duty tasks it can manage. The thickness of the blade will depend on the food that you are going to be cutting. A thinner blade is more suitable for fruit and vegetables and delivers a more precise cut where a thicker blade is better for meats and cutting through bone without breaking or bending. The handle of a Chinese kitchen knife usually is made from Wood, Steel or Plastic. The type of handle is entirely up to your own personal preference, just make sure you get a Cleaver with a handle that does not slip, particularly when wet. 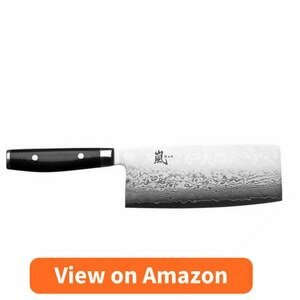 A good quality Chinese Cleaver can be very expensive but many chefs have found that there are many Chinese meat cleaver that is under $50 that are just as good. Still not convinced that the Cleaver is a must have in any kitchen? The Chinese butcher knife has layers of the finest quality steel that ensures long-lasting durability. You can cut chop and slice almost anything the blade will hold its edge and the full tang will not break. The 16-degree angle of the blade ensures the utmost sharpness. The blade is razor sharp and will slice through almost anything with the greatest of ease. The main benefit of a Cleaver is its versatility. Prepare food faster and easier. Use to slice, dice, chop and cut vegetables, meat and even through bone. Can be used to crush garlic and spice. Can be used to tenderize meat. As you can see the best Chinese cleaver is an absolute must in every kitchen because of its versatility and durability. 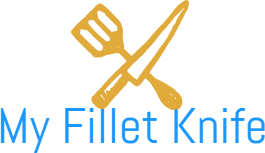 We have chosen some of the best kitchen knife brands that have received excellent ratings and reviews by many happy customers. 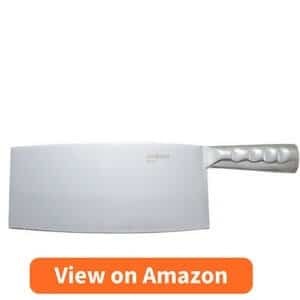 The Top Chef by Master Cutlery 7″ Chopper/Cleaver has a very hard and powerful ice tempered steel blade and steel handle, made for heavy duty chopping and cutting as well as finer and more precise slices and cutting. Our second and last favorite from the list is the WINCO Cleaver knife with Stainless Steel Handle, a tough heavy duty cleaver with an 8-inch blade that has the ability to crush nuts. Thank you, Glen, for dropping & sharing your thoughts!